The EU-Ukraine Association Agreement is a “challenge” for Kyiv but also a “great opportunity” for the longer-term competitiveness of the agriculture sector, a Ukrainian diplomat told euractiv.com. 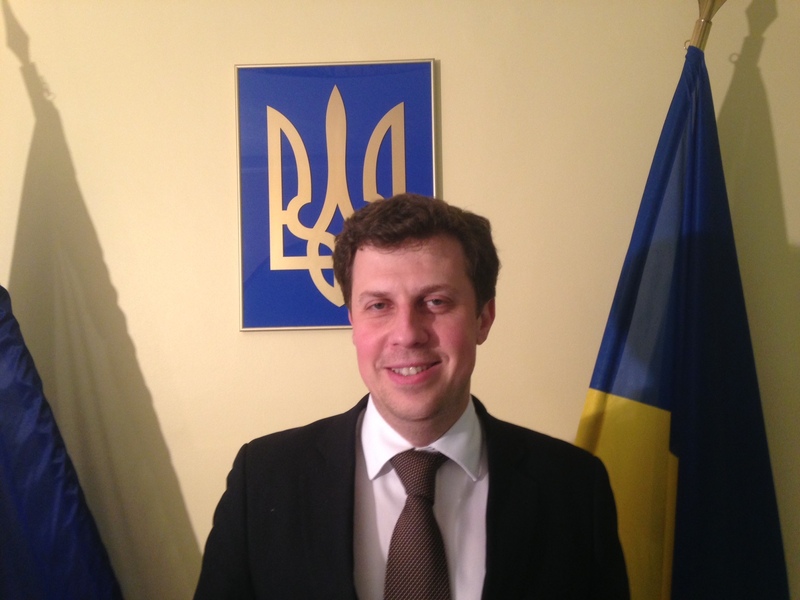 Nazar Bobitski is a Counsellor and Acting Head of the Trade and Economic Section of the Mission of Ukraine to the European Union. Ukraine’s flag is “blue sky above yellow field of wheat”. Is Kyiv trying to revive the sector and turn the economy toward agriculture activities? In fact, Ukrainian agri-food sector was playing an increasingly important role in the economy since the mid-2000s. Before the current crisis, in 2012-2013 the share of agri-food sector in Ukraine’s economy was quickly growing from 6.6% in 2007 to 8.3% in 2011 and 11% in 2013. The share of agriculture in Ukraine’s total exports grew from 27.3% in 2013 to almost 37% in the first 10 months of 2015. These figures represent a favourable cumulative effect of several factors. First, in terms of agriculture, Ukraine is blessed with its geography and climate. The area of arable land under cultivation in Ukraine, and we talk about high humus-percentage soils, is equal to the area of Britain. Second, during the last decade a favourable combination of economic factors was driving investments and growth in the sector– a very small share of cost of land and labour in the overall cost structure, relative geographical proximity to major international agri-food markets, long period of high global prices for agri-food commodities (until now). The Russian occupation of Crimea and the Moscow’s hybrid war in Donbas hit hard the Ukrainian steel production, hitherto leading Ukrainian export industry, cutting production and exports. The contraction of steel production and export levels only highlighted too well the role and potential of agri-food sector in the Ukrainian economy and trade. However, the Ukrainian agri-food sector cannot afford complacency. We are facing a prolonged era of global economic uncertainty and instability, which translates in longer periods of depressed agri-food global commodity prices. In the case of Ukraine, the difficult external environment is exacerbated by the conflict in Donbas and the ongoing Russian trade war against Ukrainian exports. In these circumstances the current relatively low added value model of the Ukrainian agri-food sector becomes highly vulnerable to external shocks. The inevitable land reform, specifically, the long-awaited liberalisation of the land market will drive costs of land up to its economically justified levels. Next, Ukrainian producers are facing high costs of reforms in the area of SPS standards (Sanitary and Phytosanitary Measures) and food safety, driven by implementation of the EU-Ukraine Association Agreement. Combined, these factors will force the Ukrainian agri-sector to become more resilient, leaner, and agile, planting the seeds for more sustainable future growth. What are the strongest assets of Ukraine’s agriculture that could attract foreign investors? In current terms, attractive assets are those, which are positioned to gain most from the current important position of Ukraine as a leading global agri-food exporter. We are talking about productive sector – oilseeds and vegetable oils (sunflower, rapeseed), cereals (corn, wheat), transportation and logistics sector – seaport grain terminals, grain elevators, railway transport assets). Yet, the true potential lies elsewhere. Higher value-added animal-origin products hold a disproportionately low share in the structure of Ukrainian exports. For instance, in 2013 in France, the share of plant-based agri-food was only 15%, while that of animal-based food products – 29.8%. In Ukraine the figures are almost inverse – 50.8% and 6.43%. Specific sectors of potential interest are poultry, eggs, beef, fish and other aquaculture products, as well as manufacturing of processed foods for the recovering Ukrainian domestic market, as well as for the EU market becoming increasingly open under the DCFTA regime. Could the Association Agreement with the EU give the agri-sector a boost? For Ukraine, the DCFTA segment of the Association Agreement is both a challenge and a unique opportunity. Approximation of EU SPS standards and rules, EU-oriented reform of the Ukrainian system of food safety and consumer protection will entail additional production costs to the Ukrainian producers and considerable administrative and budgetary burden to the government in the short term. However, in the longer term, the costs of inaction would be much greater. Compliance with European standards and equivalence to the European system of food safety and consumer protection are the keys to the European markets. As Ukraine gradually achieves these objectives, it will also become a beneficiary of the ongoing process of proliferation of the European agri-food rules and standards worldwide. Already now compliance with European regulatory requirements facilitates access of Ukrainian eggs, poultry to markets in the Middle East, North Africa and the Pacific. For instance, in 2015 Ukraine’s exports to Asia reached 4.2 billion US dollars, ahead of exports to the EU – 2.3 billion US dollars, followed by Africa – 1.2 billion US dollars. We expect that with progress in implementing EU rules and standards these trends will only be reinforced. Don’t you believe that political and economic stability is needed first, considering the fragile political state-of-play with Moscow? How can you convince foreign investors to put their money in Ukraine agriculture? Indeed, Moscow’s confrontation with Ukraine as well as basically with all other Russia’s neighbours, casts a long shadow of uncertainty over the entire region. Yet, I am optimistic about the longer-term prospects. Because much more important pre-requisite for a turnaround in Ukraine are prudent macro-economic policies, structural reforms of the tax and business regulatory systems, as well as overhaul of the judiciary and law enforcement. The cabinet of Prime Minister Volodymyr Groisman is determined to see firm positive results in this direction. If this trend is secured, implementation of the regulatory approximation component of the DCFTA will stimulate a thorough restructuring of the Ukrainian agri-food sector, which is long overdue if we want to retain and strengthen our global competitiveness. Needless to say, positive results in these two areas will speak volumes to potential foreign investors, as they will only highlight too well already existing strategic advantages of Ukraine. What is the level of cooperation with third countries on agriculture? What’s the rate of imports-exports of agricultural products? Particularly, with Russia? Ukraine’s agricultural exports have a very diverse geography. To a great extent, Russia’s trade war against Ukraine considerably helped us ‘to place our eggs in different baskets’. Back in 2013, total exports to Russia and Commonwealth of Independent States (CIS) constituted 15.1 bn of US dollars or 29% of overall exports, in 2014 this figure fell to 9.8 bn US dollars and further to 4.83 bn US dollars (50.7%) in 2015. As Russia launched numerous trade restrictive measures against Ukrainian imports, including foodstuffs, culminating in a suspension of the CIS FTA benefits for Ukrainian exports and a total import embargo on Ukrainian foodstuffs from January 2016, our agricultural exports fell by 50% from 2 to 1 billion US dollars in the year 2014 alone, decreasing further to 300 million US dollars in 2015. Our producers had no other choice but to diversify. In 2015, the lion’s share – 46% (almost 6 billion US dollars) of our agri-food exports went to China and other Asian countries, 28% (3.6 billion US dollars) – to the EU market, 13% (1.8 billion US dollars) – to the countries in Africa. Russia and the CIS markets now hold just above 10% (1.4 billion US dollars). In general, we export to almost 190 countries, feeding an equivalent of 140 million people. As far as prospects of our agri-food trade with Europe are concerned, our potential is limited by two factors. Firstly, the range of agricultural products from Ukraine authorised for exports to the EU on SPS grounds remains extremely limited – poultry, eggs, honey, dairy, fish and fish products, petfood, feather-based products, technical casein and leather raw materials. In many segments of animal-origin products, such as beef, pork, the EU markets remain inaccessible to the Ukrainian producers due to SPS non-compliance issues. In total, Ukrainian producers use roughly 50% of export opportunities (in terms of import tariff rate quotas) available to them under the DCFTA. Secondly, exports of authorised products are limited by the DCFTA import tariff-rate quotas (TRQs). For instance, for wheat, the quota is set at 950 thousand tonnes, with total exports of Ukrainian wheat at 12.06 million tonnes in 2015 including 1.63 million tonnes of exports to the EU, for corn – 400 thousand ton with total exports – 11.5 million tonnes. For poultry, the TRQ is 20 thousand tonnes with total exports of 179 thousand tonnes in 2015. Clearly, existing quota restrictions under DCFTA do not reflect the realities of EU-Ukraine agricultural trade and severely limit its potential.